With simple gameplay and pretty graphics, the first game Dragon Ball Z: Assault of the Saiyans was pretty successful. 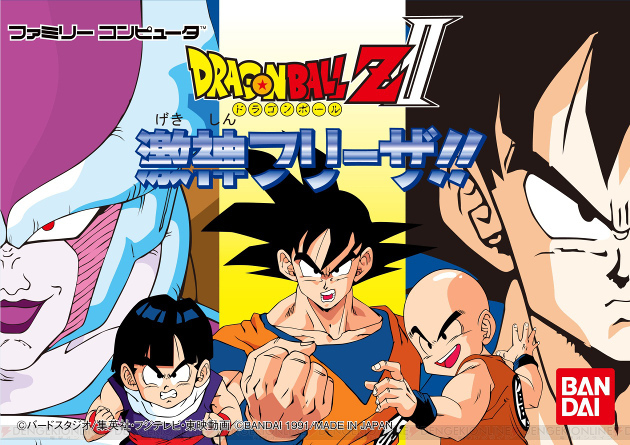 So after less than 1 year, Dragon Ball Z II: Gekishin Freeza was released. This game is an epic following the story of Freeza Saga up to the Spirit Bomb attack. The game plays very similar to the first and is considered to be better by most. I used to think it was better too, but now playing it again after so many years, I think the first game has more charm. This is a SSLP and I'll play the game in Japanese using an emulator. The translation patch for this game is incomplete so I won't be using it. The story is pretty much the same as the anime anyway so I'll just point out the difference as we reach them. During the cut scenes I will post my own version of the caption and show it in italic. Feel free to post your own version in the thread. I'll frequently compare this game with the first, so having basic knowledge of the plot up to the end of Freeza Saga is necessary and experience of the first game by playing or reading the SSLP of the first game is assumed. Please don't talk about things that only happen in the game and not yet shown in the LP. On the other hand, spoilers for the anime series are fine.